The NanoESCA spectromicroscopy instrument includes Photoemission Electron Microscopy (PEEM), Imaging X-ray and Ultraviolet Photoelectron Spectroscopy (iXPS/iUPS), selected area small spot spectroscopy, and k-space imaging. The NanoESCA analysis chamber comprises of electrostatic photoemission electron microscope (PEEM) column, an imaging double hemispherical energy analyser (IDEA), and photon sources: Hg arc UV lamp (5.2 eV), He I UV lamp (21.2 eV), and focused monochromatic X-ray source (1486.6 eV). 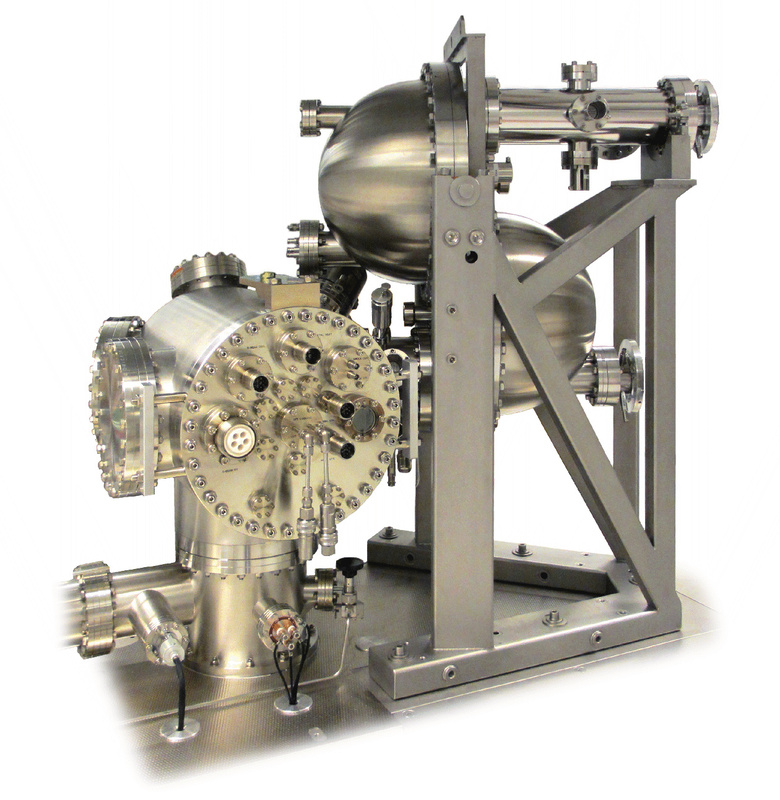 The UHV system is modular including also a preparation chamber with the following sample preparation facilities: argon ion sputtering gun, atomic hydrogen source, leak valves for controlled gas phase exposures (e.g. oxidation), and manipulator assembly for radiative annealing up to 1100 °C. 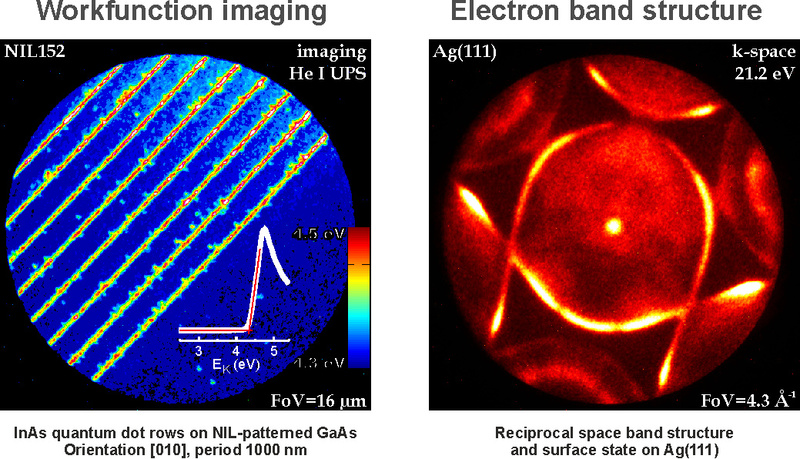 Ag(111) Fermi edge band structure measured with NanoESCA full field imaging. Field of view 4.5 Å-1, binding energy range 2…-0.75 eV, spectrometer energy resolution 400 meV, excitation source HeI (hν = 21.219 eV). Acquisition time approximately 30 minutes. NanoESCA k-space full field imaging. Ag(111) single crystal band structure in reciprocal space. Field of view 4.5 Å-1, binding energy range 3.5…-0.75 eV, spectrometer energy resolution 400 meV, excitation source HeI (hν = 21.219 eV). Acquisition time approximately one hour. Ag(111) 4d and Fermi edge band structure in reciprocal space. 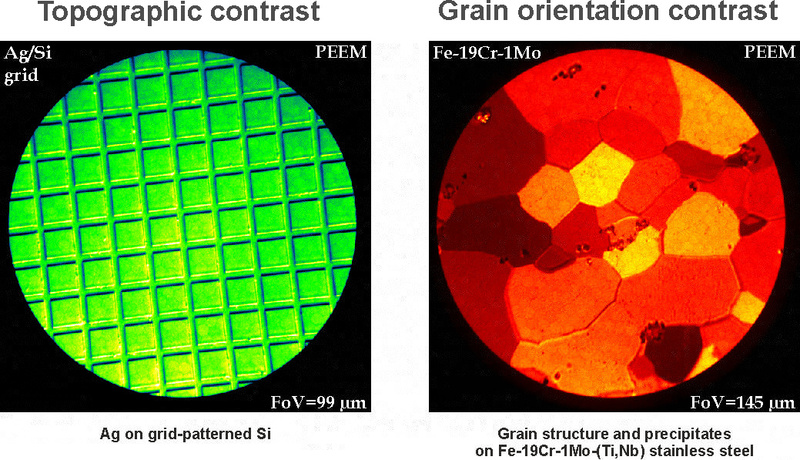 White line in the Fermi edge image on the right shows the slicing path for the left side band structure projection. 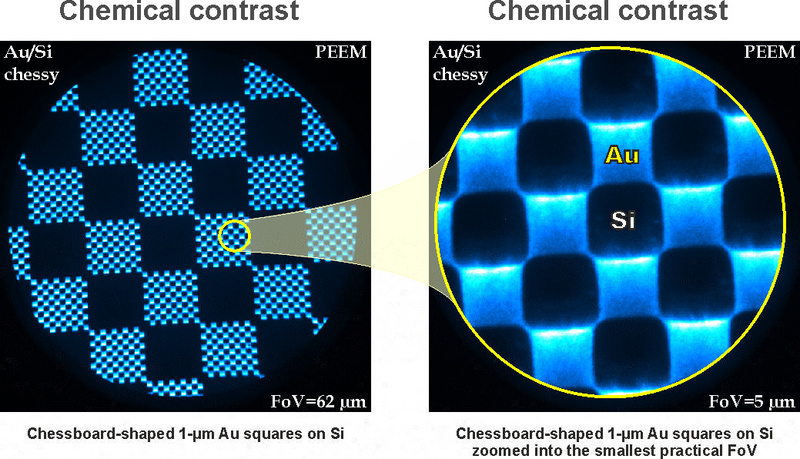 Nickel evaporated 50 µm “gear” on ALD-TiOx surface measured with NanoESCA. (left) Secondary electron image. 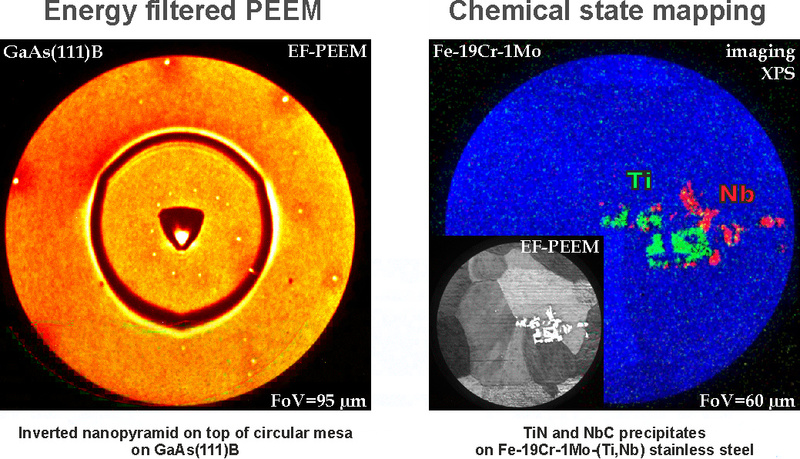 (right) Element specific photoelectron core level map of Ti and Ni oxide.